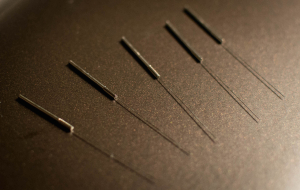 Dry needling is the use of solid, fine gauge needles to release trigger points for the therapy of muscle pain. The term was coined to differentiate the technique from one that uses hollow hypodermic needles to inject the trigger point–i.e. “wet needling”. Dry needling is typically performed by physical therapists. They are the same! Releasing trigger points with acupuncture needles is by definition an acupuncture technique. It is but one of the many techniques an acupuncturist might use to address your pain. It can be extremely effective, but it is not appropriate for every patient nor for every injury, all the time. The best technique is the one that gets you back to doing what you love as quickly and as painlessly as possible. 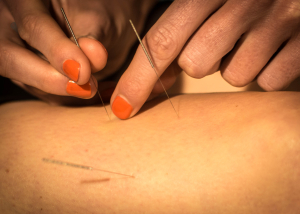 Whether you want to call it dry needling or trigger point acupuncture, it is a very powerful method to relieve pain. However, the effectiveness and safety of any therapy depends on the experience of the practitioner. At Boulder Acusport we have well over 2000 hours of training in acupuncture, compared to the 20-50 hours required for a certification in dry needling. There is a tactile, kinesthetic skill acquired only after hundreds of hours of practice which ensures the precise release of trigger points in a manner that is not painful. There are certainly PTs who are quite skilled in dry needling; however, in the past few years there have been at least two reports of punctured lungs caused by physical therapists performing dry needling in Colorado. Make sure you check the qualifications of whichever practitioner you choose! Yes, We Do Dry Needling. It's just not all we do.